You and your children will be taught and cared for by a number of people. All staff have enhanced CRB disclosure. DCJC and Schola Exe are directed by Mrs Rachel Smith assisted on occasion by Michael Graham. Rachel is the Head of Junior Music at The Maynard School, Exeter and is an experienced teacher school teacher, highly regarded for her musical work with children. Rachel, herself a former member of the National Youth Choir and several Devon County music ensembles, is a well established performer in piano, choral and solo singing. She is also the Conductor of the Yellow Choir (children aged 9 - 11 years) of the National Children's Choir of Great Britain. 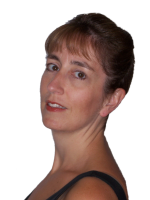 Rachel has been the Musical Director of Chivenor Military Wives Choir since September 2012 and of Lympstone Military Wives Choir from 2013 � 2015, returning as the MD in May 2017. Michael conducts Exeter University Chapel Choir and the Budleigh Salterton Male Voice Choir. * these staff also accompany DCJC and Schola Exe and on occasions will conduct.